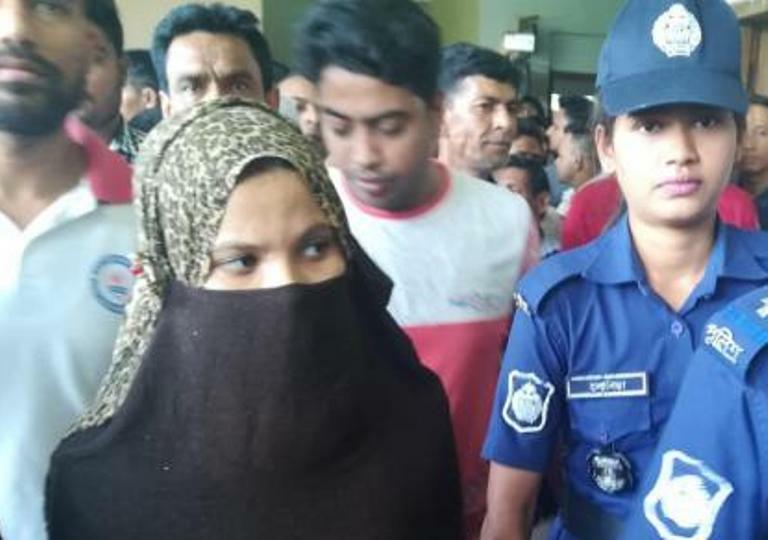 A Feni court has granted 5 day remand for Kamrun Nahar Moni, an accused allegedly involved in the murder of Feni madrasa student Nusrat Jahan Rafi, confirms ASI Ahsan Habib. Law enforcers produced her (Moni) before the court on Wednesday and sought 10 days remand in connection with the involvement of Nusrat murder. The members of Police Bureau of Investigation (PBI) arrested Kamrun Nahar Moni, who is allegedly involved in the killing directly.The PBI arrested Kamrun Nahar Moni from Feni while another Shariful Islam from Dhaka on Tuesday night.